You'll be £4.99 closer to your next £10.00 credit when you purchase Kalashnikov in Combat. What's this? The Kalashnikov assault rifle, generically known as the AK-47, is the most famous small arm ever made. This weapon has transcended its Soviet designer and country of origin to become the most prolifically produced and iconic weapon in the world – and it has become a brand that has been used to sell everything from T-shirts to vodka. Although it first appeared in the late 1940s, it did not make its decisive presence felt on the battlefield until the Vietnam War when China supplied it to the Vietnamese communists. The weapon’s durability became a legend. Since then it has been employed in practically every conflict around the globe, and it is seen as the symbol of the wars of national liberation. Probably its most celebrated moment came in the hands of the mujahideen fighting to oust the Soviets from Afghanistan. In Kalashnikov in Combat Anthony Tucker-Jones gives the reader a brief history of the weapon and he offers a visual record of the impact of the AK-47 on the battlefield up to the present day. His account is illustrated with a wealth of archive photographs ranging from Vietnam to the American-led invasion of Iraq and beyond. 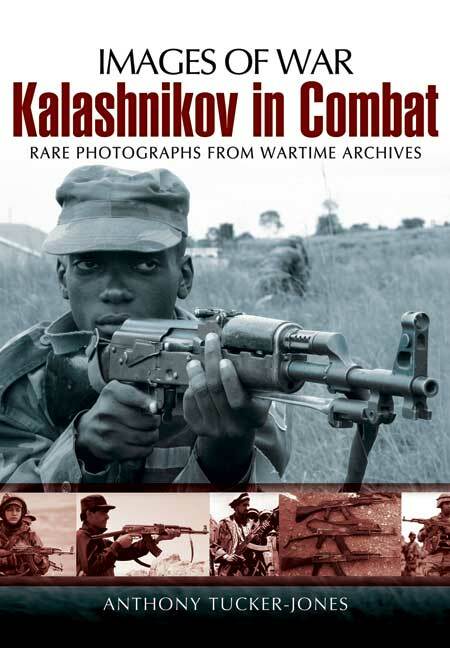 ...this really is a fantastic title that brings together a whole wealth of fantastic photographs of the AK and its variants in use. For modellers I'm sure it will provide some great inspiration but it also serves as a great title for those interested in the AK and those interested in conflicts where it has had a major role. Highly recommended!